Discussion in 'Diskusi Forex Trading' started by FreshForex, Jul 11, 2014. Lelah dari Janji-JanjiManis dan profil banyak dari broker Forex? Kami tidak menunggu dan kini kami menawarkan sesuatu yang baru untuk pedagang. Anda selalu dapat menemukan informasi terbaru di website kami. 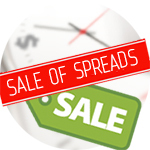 We are glad to inform you that a unique "Sale of Spreads" promo is prolonged till 26th of July. Catch an opportunity to save up to 50% of your spread trading with the most volatile instruments! Just make your deals daily from 5 pm to 5 am GMT and pay for spread twice as little. The instruments with high volatility like energy supply, index and metal contracts take part in the promo. Increase your chances to gain profit! You can learn about all the instruments and terms on the promo page. Make your trades in good time! Let us remind you that "Spreads in half" promotion is valid till July, 31. You still have the chance to avail from a smart rebate service and get an additional profit from trading! What are the advantages of this promotion for each trader? · Think that your trade will be profitable? Having switched to this promotion plan, you will get $5 more for each profitable lot. · Think that your trade can be loss-making? This bonus plan will return you $10 per each lot in case of failure. 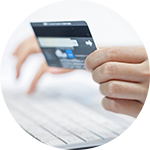 · Reward is credited to your account weekly and is fully available for withdrawal. · No open trades? Once a week you can change reward scheme and choose a more suitable option. Check more details on the page of promotion. Be in time to take part in it! Saat deposit kita terancam dan Stop Out menjemput. Maka sambungkan dengan "Asuransi melawan Stop Out". Ingin lebih jelas tentang hal ini, pelajari disini. The Italian trade balance for April showed a decline from 3.89 billion euro to 3.51 billion vs. 4.27 billion. The business sentiment index in Germany ZEW, as we expected, came out with a significant decrease from 33.1 to 29.8 - a trend that lasted six months and worsened since the development of events in Ukraine is not on the European scenario. We advise to short with the first target - 1.3490. When the pair consolidates below the first target, we can open deals to the level of 1.3435. We are glad to let you know that a scheduled update of MetaTrader 4 terminal to 670 build is taking place in the coming days. Demo server will be upgraded on 26th of July, whereas the real server will be upgraded on 27th of July. Currently new account creating Master has the same interface as one in MetaTrader5. It will speed up and simplify the process of creating a new account. Current market rate of a trading instrument now can be displayed in the form of market depth, which allows you to speed up the process of order management in many times. 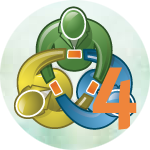 Thanks to the upgrade, MQL4 programs will be able to share data with web services and websites automatically. Trading robot will be able to make trades based on recent news and quotes, it also will be able to updare reports. The whole range of processes was automated: obtaining of MQL4-program signals, its analysis based on the defined set of criteria, automatic subscription to the most required signals.The robot is by default forbidden to change settings of the signals, which allows to ensure trading security. You can find the whole list of changes and their description on the official MQL4 forum. Use upgraded terminal and trade in profit! Monthly chart: bulls continue to put a pressure, but in general uptrend looks like almost fully exhausted. Key resistance is based on 2050,7, from where reversal or a significant correction will take place with a high probability. Weekly chart: oscillator's divergence confirms that reversal is close to come. Nevertheless, we are waiting for new highs to be reached before. Day chart: divergence is also strong here, besides, resistance from the upper Bollinger band (1991.4) is still working. Support is based at 1956.6 ( bottom Bollinger band). We are glad to inform you that the "Spreads in half" promo has been prolonged till 31st of August. Join it and get additional profit no matter what your trading results are! With the "Spreads in half" promo, every trader may choose their own plan of spread's return: on failing either profitable trades. 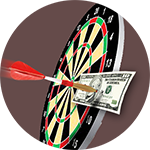 Payout of rebate can reach $10 per lot - the most profitable conditions on the market! You can learn detailed terms on the "Promotions and bonuses" page. To join this and other promotions, proceed to your Personal area. We are glad to inform you that from August 1 to 31 “FreshForex” grants traders with several deposit bonuses at once. Charge your deposit to a full power! 1. Get ready for a start: open account, confirm personal data and link your account to the promotion in the Personal area. 2. 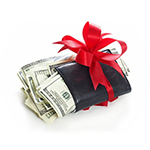 Fund your account with the amount from $100 and get bonus 101%. If you choose minimum recommended deposit and top up your account with $200, then total amount on your account will be $402. Get a double filling for a successful trading! 3. 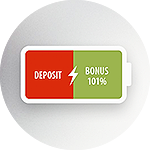 With the second and all subsequent refills from $100 you will get extra 33% to your deposit as the bonus. 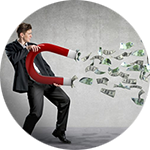 Avail from this advantage to increase trading volume and obtain even more profit! Trade with more energy using new bonuses from “FreshForex”! Prior to taking part in the promo, please study its details terms. The second month of summer has come to an end and we are ready to summarize its results. Which events of July did impact on the market most of all? Which contracts did help traders of the company to achieve the best results? Our monthly report will let you know about this and many other facts. As per results of July, EUR/USD pair lost 2.22%. The reason was weak macroeconomic data from Europe along with positive releases on GDP and labor market from the USA. GDP of the Great Britain for the second quarter did not show an expected acceleration, whereas toughening of monetary policy by the Bank of England is questionable. Hence, quotations of the British currency dropped by 1.3%. Acceleration of bullish trend on the Japanese stock market along with positive releases from the USA contributed to growth of USD/JPY for 1.4%. Despite Ukrainian crisis and conflict in Gaza strip, gold (XAU/USD) finished July with a 3.3% decline. Platinum (XPT/USD) lost 1.7%, because investors were fixing their profit on long positions following to a durable growth. Upon that, palladium (XPD/USD) was in a demand in July, which allowed this contract to finish month with increase in 3.4%. S&P500 stock index lost 1.58%. In general, macroeconomic data was positive and if not desire of investors to fix the profit on long positions, we could speak that ascending tendency would go on. On the market of “black gold” Libyan government was the main news maker when told about increase in oil-production output. Traders hastened to close long positions, hence “Brent” oil lost 5.6%, whereas “WTI” lost 7.5%. • 866 trades per month - result of the most active trader. • 55% of traders with deposits above $10 000 and more finished July with a plus. • $160 635 — the best result of the month. Want to achieve the same figures as our leaders did? Take part in new bonus plans from “FreshForex” and trade in profit! Be the first to know about the best Masters of "Flagman Invest" ! We are glad to inform you that RSS Subscription for the top list of Masters is now available in the "Flagman Invest" PAMM-platform. Watch trading conducted by Masters and choose the best ones! 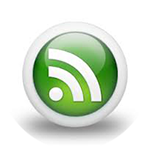 To subscribe, you just need to be authorized in one of the RSS-services or install a special plug-in in your browser. In the right corner of the "Master Top" page you will find RSS sign. Once you click it, confirm your agreement to subscribe. Subscribe to get updates of the top list and stay tuned! "FreshForex" company always cares of traders' opinion and strives to expand trading opportunities for its clients. That is why we decided to prolong the “Sale of spreads” promotion till the 23rd of August. As our analytics point out, in early summer many successful traders have reduced the volume of trade with major pairs. More and more clients began to pay attention to the instruments with a higher volatility. We decided to launch the “Sale of spreads” promotion for these very traders and came up trumps - the project became very popular. It is not surprising, because the benefit is obvious: traders save up to 50% of spread and they have rather more opportunities to maximize their profit. It is interesting to note that the most popular instruments of the recent weeks are GBPJPY, #BRENT and #DAX30 - the biggest trading volume was made with them. You can learn how to join the “Sale of spreads” promotion on its promo page. Hurry up to save your spread and gain the maximum profit! We are glad to inform you that now all traders of the company can fund and withdraw to/from thier accounts throughFasaPay system. Evaluate one of the most reliable payment services! The new payment facility is available to all clients of "FreshForex" company, who confirmed their personal data. Money transfers are made in US dollars, deposit and withdrawal of funds are immediate. Before you start the work with FasaPay service, proceed with a free registration in the system. User's data is completely and reliably encrypted, wherewith ensures an absolute safety of financial operations. 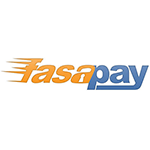 Prior to starting the work with FasaPay, we recommend you to check user's guide in "Deposit and withdrawal" section of our website. We are glad to inform you that "Spreads in half" and "Insurance against Stop-out" promotions are prolonged for three months - till the 30th of November. Join it and gain profit whatever the circumstances! Many people wonder, why FreshForex Company prolonged these promos so often. The answer is very easy: we evaluate them on your performance, and select only those projects that are really popular. That is exactly what happened with the "Spreads in half" and "Insurance against Stop-out" promos. Our clients have appreciated the opportunity to receive additional income from a trade or to insure their own deals. If you haven't joined one of these promotions yet, we recommend you to do it right now! You can learn the terms of participation in the "Promotions and bonuses" section. Subscribe and get the maximum profit from working with «FreshForex»! We are glad to inform you that "101% bonus" promo has been extended till October 30. Take part in it and get a double filling for a successful trading! "101% bonus" promo has turned to be the most popular among all other promotions offered by "FreshForex" company. It is not a surprise, because each participant is granted not only with 101% bonus for the first deposit, but with + 33% for all further deposits as well! Thousands of traders already enjoy energetic bonus - you try too! Please pay attention that the minimum required amount of deposit under the promo is just 100$. Prior to taking part in the promo, please study itsdetails terms. The summer has come to an end and we are ready to provide you with the data about activity of our best traders. But let's begin with the results of the month in terms of fundamental analysis. Negative macroeconomic statistics on inflation and GDP in the euro area has led to a significant weakening of EUR/USDpair in August. As the result of sales, the united European currency lost weight and ended the month by 2.22% decrease. In the last summer month GBP/USD pair also decreased by 1.7%. Against the backdrop of the weak economy and the "bull rally" in the US stock market Japanese Yen has strengthened and increased by 1.25%. Despite increased risks in Iraq, "bear rally" continues in the oil market, which puts many traders in a deadlock. In the dispute between bears and bulls on gold (XAU/USD) the last won the minimal victory over the month. At the beginning of the month, we have seen increase of geopolitical risks that supported the demand in precious metals, and in the second half of the month reduce of yields of the US 10-year's Treasuries encouraged bears to open short positions. US GDP for the second quarter was revised towards better figures up to the level of 4.2%, which in sum with positive reports brought a futures contract on the S & P500 to a new historic peak 2005.3 p.
What were the results of “FreshForex” traders in August? 1085.27% - is the increase of deposit reached by one of the most successful clients. The trader mainly operates with major pairs and BRENT oil, partly using advisers. 1773 trades - were made by the most active client during the last month. Trades were made on the Market Pro account, without application of advisers and with AUD/CAD cross-rate. Trader has gained 169% of the deposit's increase. 47% of traders finished August with a plus - the proportion of clients which keeps deposits more than 10,000$. 188 100$ - the result of the most profitable client. Are you interested in other indicators of the company? You can easily find them in the "Statistics of our work" section. Find useful advisors in our "Huckster" store! Do you prefer automated trading in Forex? 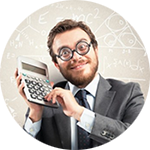 Download an efficient expert advisor from our "Huckster" store and get profit! 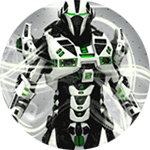 Specialists of "FreshForex" had tested hundreds of trading robots to select the most useful of them for you. The store offers both paid and absolutely free products from our developers that can not be found in other sources. Select the appropriate advisor and enjoy trading! Each item has a detailed description and instructions on how to configure it. This will help you to find the right advisor quickly and start testing it in practice. For the convenience of our customers, we added posting reviews options about trading robots to evaluate their work. Try working with an expert advisor and share your experience! We recommend you to learn the detailed instruction before buying EA. Here you will find the information about downloading free products. Use effective advisors and maximize your profit! "FreshForex" company celebrates its birthday on October 11, but we begin to delight you with gifts and surprises as early as now! In the honor of the anniversary of the company, we've decided to extend the "Sale of Spreads" promo for four full weeks. Earn on the most volatile instruments and save on spread until 11th of October! We remind you that now promotion is valid from 9.00 am to 2 pm, GMT. List of the available instruments remains the same, you still can trade with exotic currencies, oil, metals and contracts for indexes. Evaluate all the advantages of the "Sale of Spreads" promo!